If you didn’t grow up turning wrenches, mechanics can be intimidating. Today’s mass-production manufacturers always seem to make it cheaper to replace things than repair them, and the idea that our lives are too hectic to be bothered by trivialities like vehicle maintenance is commonplace. Especially in a fast-moving metropolis like New York. But when we trade self-reliance for convenience, we get quicker to blame others when things go wrong instead of looking at what we might have done better ourselves. For motorcyclists, this disconnect between rider and machine is dangerous for health and psyche. To know your bike is to understand how to use it. 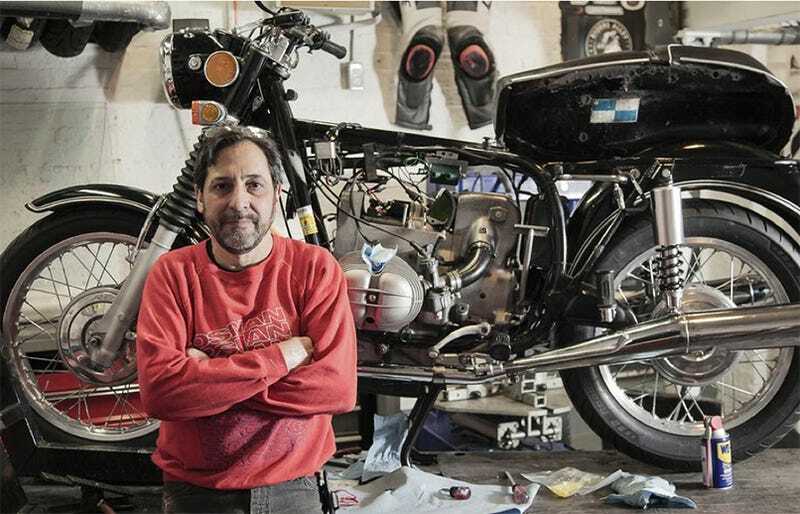 Amirian preaches the simple idea of getting to know your bike by doing work on it yourself. “No one was born knowing how to use a torque wrench,” he says. In his Introduction To Puttering class, Amirian teaches riders the fundamentals of mechanics, proper tool use, and practical problem solving while completing a routine service. Amirian’s approach breaks down the intimidation factor of motorcycle mechanics and encourages riders that “puttering” takes time and patience. And that’s a good thing. While we learn to slow down, focus and engage, we gain confidence. We begin to understand how each piece of the bike completes the vehicle as part of a system. Though we may not be able to fix everything, we learn to work through the process of elimination to determine the cause of any problem. Knowing how your bike works, and how to keep it working, is key to rider independence. If you have some curiosity about mechanics, but lack the skills or think you lack the time, Amirian’s talking to you.